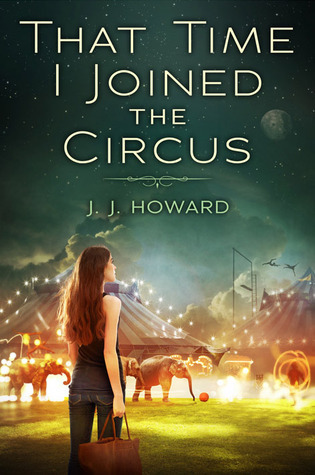 My thought process: A YA circus book? Heck yezzzz! Romance, tarot cards. Man this is going to rock the pickles off of me! In reality, this book is pretty good, but not nearly as dazzling as I'd hoped it would be. Basically, this book was sheer potential and lackadaisical execution. I had a hard time connecting to any of the characters. I may have liked them while I was reading, but all of them left me the minute I exited out of Adobe Reader. Lexi (Xandra, X, Lex) isn't awful to read about, but she sure isn't winning a Best Protagonist award anytime soon. She is a bit too angsty for my tastes: a penchant for fainting, crying, making things more dramatic than necessary. There were other characters, such as Eli, Jamie, Liska, and Lina, who I could have easily been charmed by but turned out to be sort of a let down because I could never really get a good enough feel for them. I guess Liska ended up being my favorite in this book, with her studious habits. My initial response to this book after reading it: "Wasn't perfect, but it kind of made my heart happy, so that's good." I honestly can't remember what about it "made my heart happy." I do know that this was a quick read, though, and interesting enough for me to want to see it through to the end. I don't think I could really recommend this, because it was simply lacking in too many areas. I'm not sure if I want to read this book now.. I really dislike over-dramatic main characters.. And I'm not really into quick reads now. I am looking for deep books..